A bouquet of roses is a classic version of a gift for all occasions, from a simple compliment or token to congratulations on your wedding or anniversary. Many women do not perceive roses at all as an independent gift, but only as an accompaniment to something more valuable and durable. 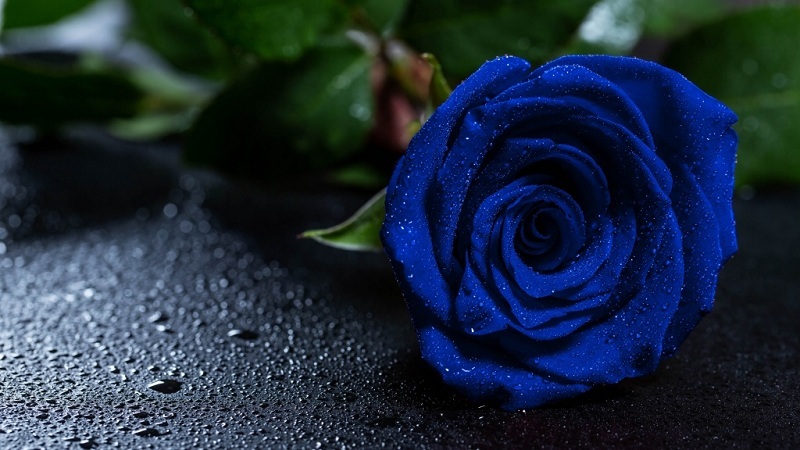 Surprise and at the same time please even the most capricious or indifferent to the colors of the girl can, giving her an unusual blue rose. Such a flower, as if grown in the forbidden gardens of the Snow Queen, can be created at home. The simple, but fascinating and visual process of transforming an ordinary bed into a magical one is also suitable for joint leisure with a child. How to paint a rose blue and what is needed for this? 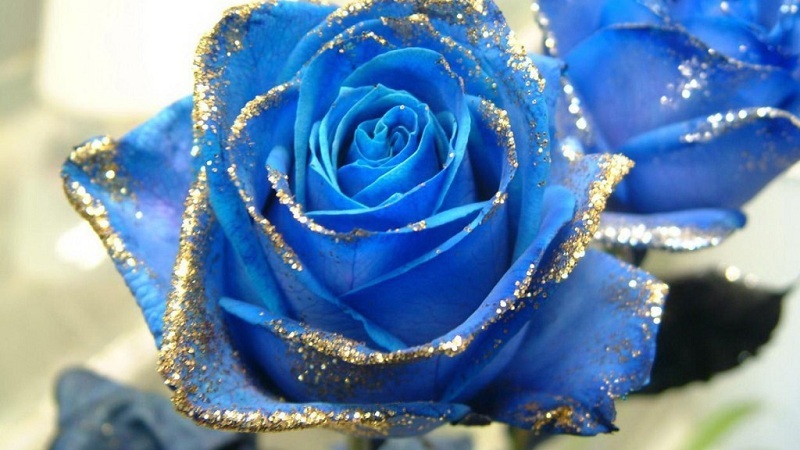 To paint a rose blue does not require any special skills or tools. All you need is patience (the staining process can take 2-3 days) and good mood, as well as some improvised means that exist in every home. 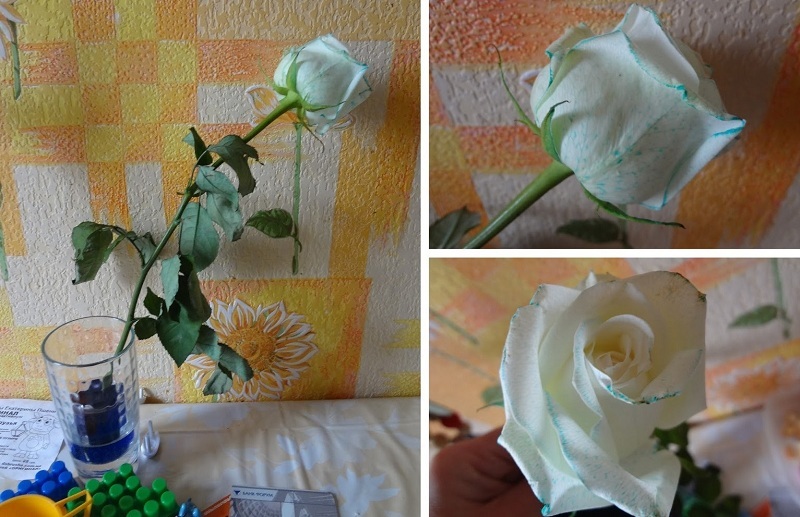 It is recommended to use food coloring, rather than ink or gouache, because otherwise the roses will turn out to be inanimate, and they will emanate a characteristic smell of paint, and not a fresh scent. 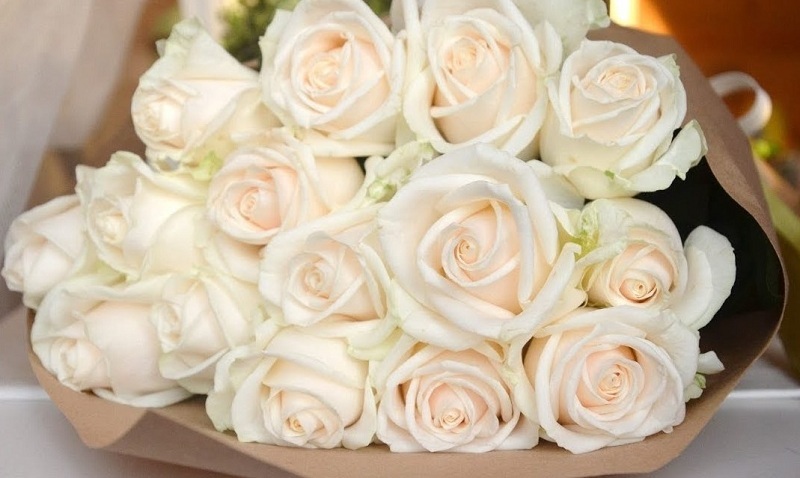 Take a white rose, after wearing gloves, and make a neat cut at the tip of the stem. Try to cut diagonally, so that the area of the slice was maximum. For fast staining, you can make a cross-shaped or vertical incision, up to 10 centimeters long. In a vase or other transparent container type cold water. 2 teaspoons of sugar should be put into the water and thoroughly stirred, and then pour the same amount of dye. Glucose is a process catalyst that accelerates staining, giving color to color. 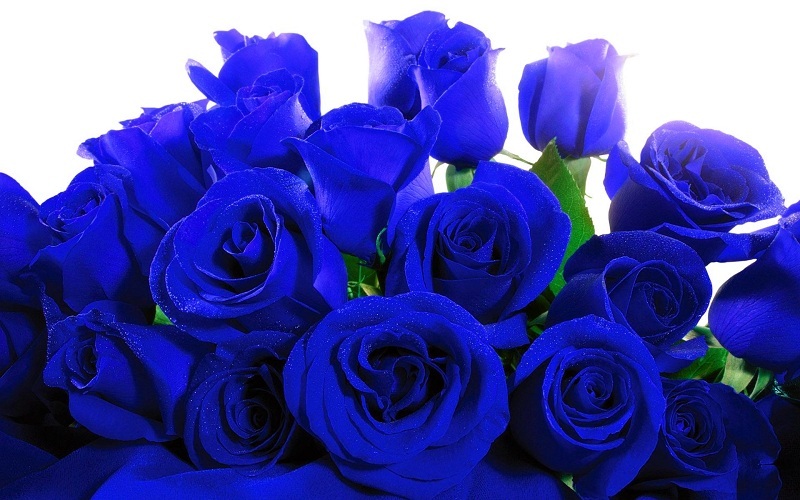 Put the prepared flower in the water, which after stirring should acquire a rich, dark blue color. The duration of the penetration of the dye in the petals is from 1 to 3 days. 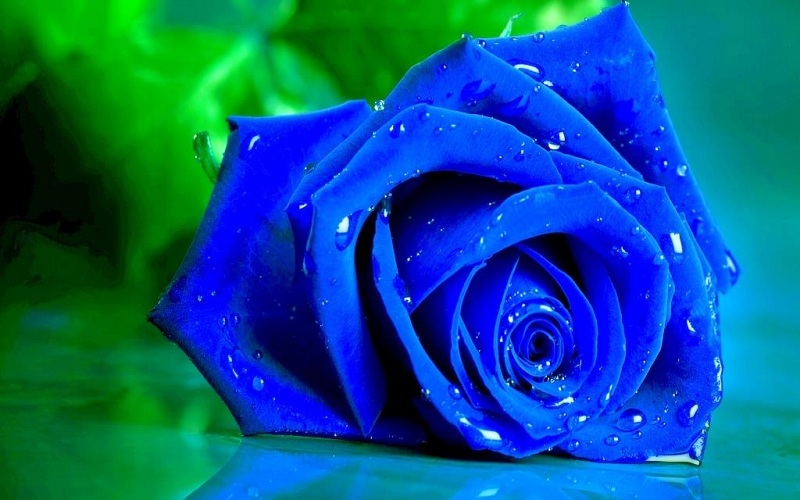 The longer it takes to keep a rose in tinted water, the more intense the resulting color will be. A vase with an experimental rose should be stored in a cool place, on a balcony or in a refrigerator, during the entire period of dyeing. The temperature should not be below +3 degrees. Thus, it is not difficult to paint a rose blue at all, and it is endlessly fascinating to watch the process of the gradual penetration of the dye into the white bud with water. With this example, it is possible to explain and demonstrate to the child how the flowers drink water, deriving useful substances from it. Now you know how to paint a rose blue at home. Watching the process of coloring, you can choose the desired shade, adjust the intensity of staining and stop the experiment at the right time, just taking a flower from the solution. For perfect coloring, roses should be white, freshly cut, have long and thick stems. Freshness is indicated by thin green veins on snow-white petals and unopened buds. Florists recommend using Wendell roses for such experiments. How to paint a rose blue as fast as possible? If you do not have time to wait and patiently observe the gradual penetration of the blue dye into pink buds, you can simply purchase a bottle of special paint in the floristic salon. It is applied instantly and has no peculiar smell, turning a white rose into a blue miracle. If you carefully put sparkles on the tips of the petals, then the flower will become quite fabulous – such a magical gift will melt even the heart of the Snow Queen! 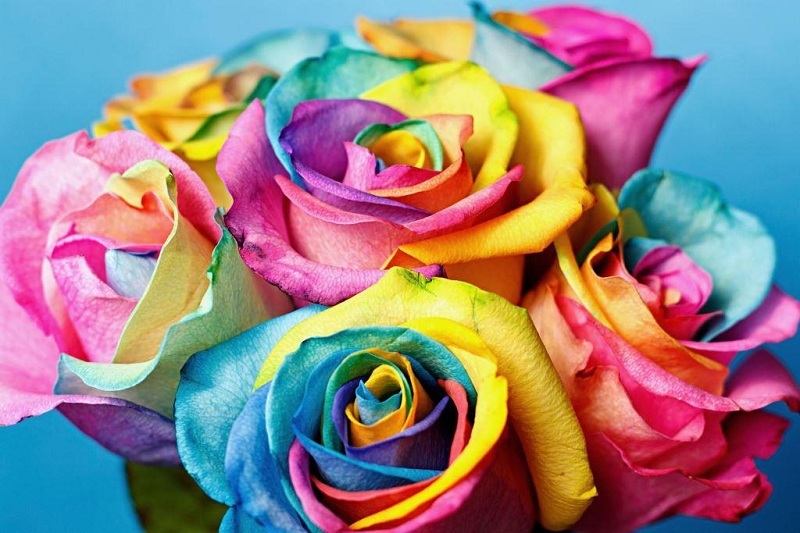 Invented by the Dutch entrepreneur Peter van de Werken, the method of obtaining unusual roses, iridescent with all the colors of the rainbow, has nothing to do with the traditional methods of crossing and breeding new varieties. More precisely, the technology itself resembles inoculation of a kidney or eye of one variety to the root system of another variety of roses (or even rosehip). Paint sticks are attached to the stalks. Paints gradually enter the stalks of plants, and then into buds, painting them in magical iridescent colors. A simple but effective method of turning a white rose into a blue at home allows you to get flowers of extraordinary beauty. Choosing food dyes of other colors, combining them, mixing and dropping parts of one stem in different containers with solutions; you will answer the question of how to paint a rose in any of the existing colors. By the way, any white flowers can be repainted in the same way: orchids, carnations, gladioli, daffodils. Successful for your experiments!